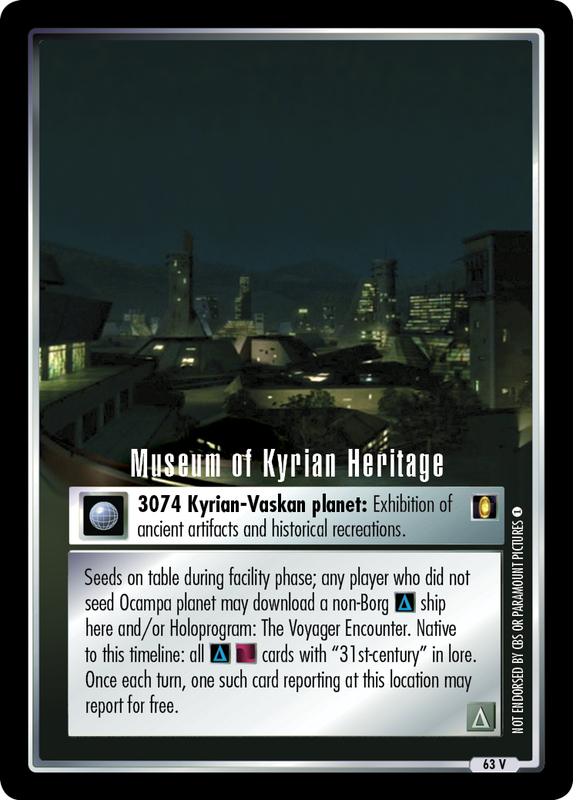 3074 Kyrian-Vaskan planet: Exhibition of ancient artifacts and historical recreations. Seeds on table during facility phase; any player who did not seed Ocampa planet may download a non-Borg ship here and/or Holoprogram: The Voyager Encounter. 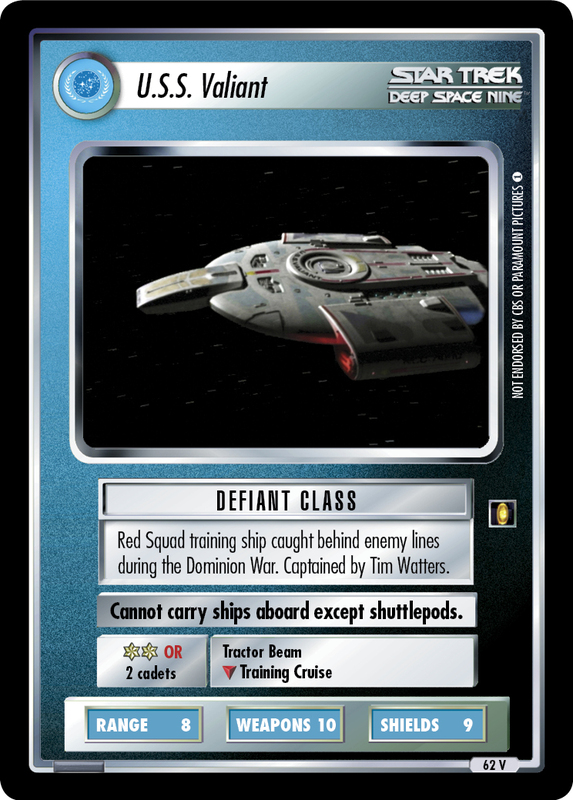 Native to this timeline: all cards with "31st-century" in lore. 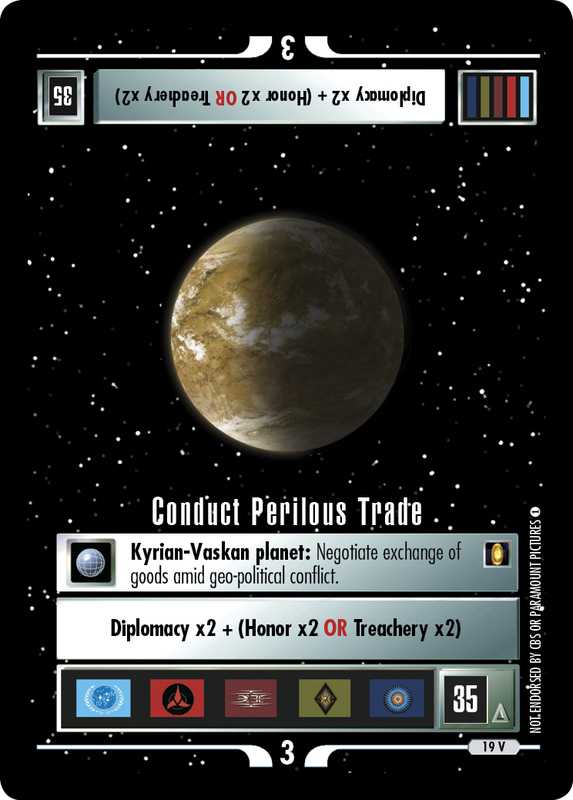 Once each turn, one such card reporting at this location may report for free.